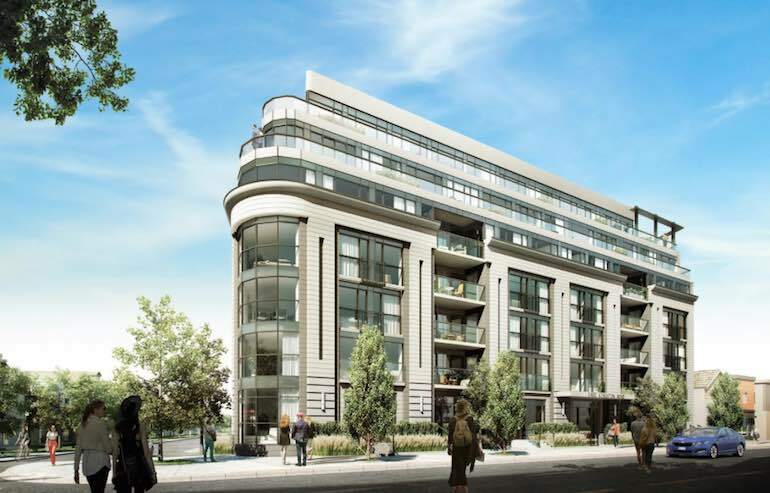 Upper Beach Club Boutique Condominiums is a new condo development at 1400 Kingston Rd, Scarborough, ON M1N 1S1 located at Kingston Road on the south and Cornell Avenue on the west. This development has a total of 44 units with 6 storeys. Exclusive 1Bed+Den (like a 2 bedroom) with 2 Bathroom @ Upper Beach Club Condos. The condo is located just across the The Toronto Hunt Club. South facing unit on 4th floor unit # 408 with Golf Course and Lake Views. Parking and locker included. Asking price is $575,000. 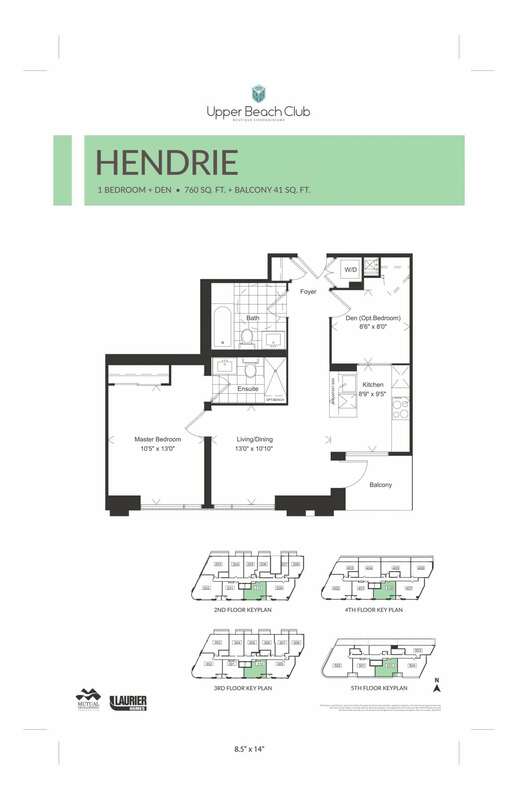 Floor plans is below.